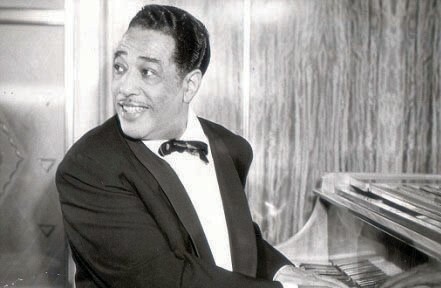 On Sunday, April 27th at 5pm the Coastal Jazz Association will present The Annual Duke Ellington Tribute which celebrates the outstanding music of one of America’s greatest composers and musicians at the AASU Fine Arts Auditorium. Ellington is credited for composing well over 1000 songs. This year’s featured performer is renown international saxophonist, Nikolai Panov. The concert will feature the Savannah Jazz Orchestra under the leadership of Drs.. Randall Reese and Teddy Adams. The orchestra is comprised of the area’s best musicians and will feature vocalist, Priscilla Albergottie Williams who has been rendering excellent performances year after year and can be heard on SJO’s dazzling CD, “Satin Doll”, (The music of Duke Ellington & Johnny Mercer). The large ensemble includes trumpets, trombones, saxophones, piano, bass, drums and fabulous vocals. The ensemble proudly features the music of many regional and national composers & arrangers, including: Kevin Mahogany, Diane Schuur, Clark Terry, Jimmy Heath, Deborah Brown, Vanessa Rubin, Ed Calle, Marlena Shaw, Joey DeFrancesco, Claudio Roditi, Bobby Watson, Vincent Herring, Simone, Marcus Printup, Wycliffe Gordon, Sam Skelton and Nick Brignola. Each year in addition to Ms. Albergottie Williams, a special guest is showcased. Guests are carefully chosen by the orchestra to ensure proper representation and interpretation of Ellington’s music. This year is no exception. Composer, arranger, saxophonist, Nikolai Panov has performed in countries across the globe, including: America, France, Germany, India, China, Netherland, Russia, Belgium, Finland, Poland, Hungary, Greece, Egypt, Israel, and Turkey. Born in Russia, he was soloist and arranger in the Russian State Orchestra for 14 years and has been the overall center of jazz events in Russia and abroad ever since the late 1970s. Mr. Panov has shared the his stage presence with with luminaries such as Stevie Wonder, Natalie Cole, Gunther Schuller, Johnny Griffin, Cyrus Chestnut, Miki Howard, Deborah Brown, Phillip Catherine, and Dave Samuels, well as many others. This outstanding annual event is sponsored by the City of Savannah, Department of Cultural Affairs, Armstrong Atlantic State University and the Coastal Jazz Association.